Click on the image to view the full article. CGM was commissioned to write and circulate a press release about the merger between CB Chartered Accountants and Haines Watts as part of the national accountancy firm’s ongoing expansion plans in autumn 2018. 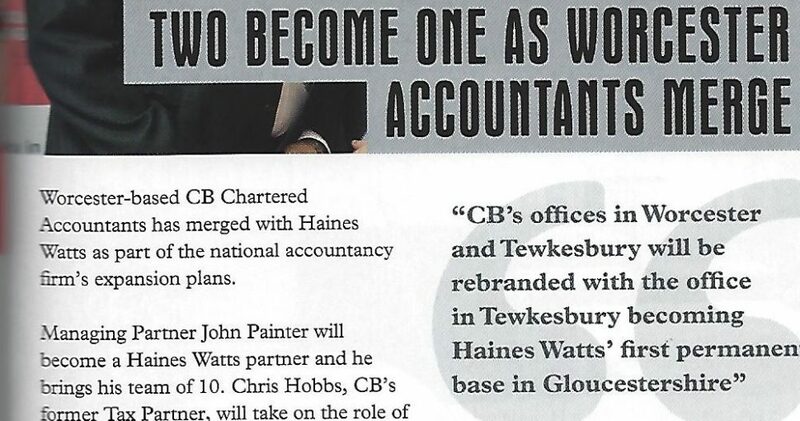 The deal saw Haines Watts welcome a new partner, CB Chartered Accountants founder and managing partner John Painter, and his team of ten. Chris Hobbs, CB’s former tax partner, took on the role of tax consultant. 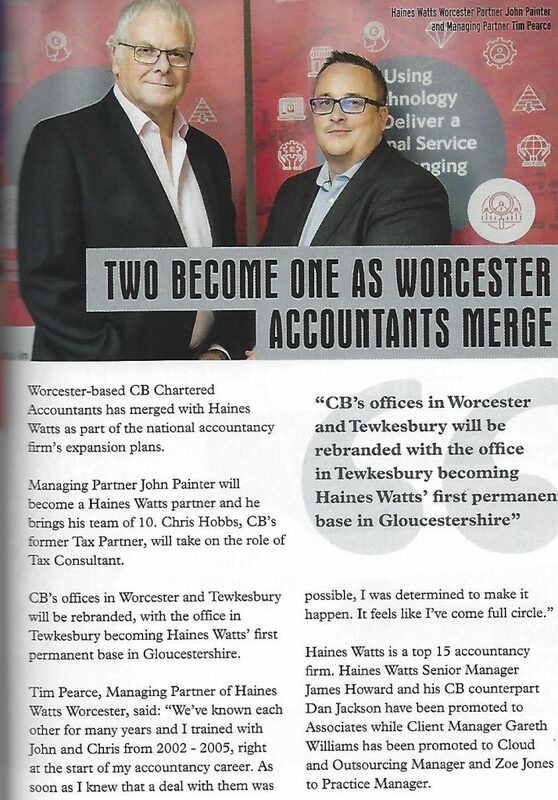 CB’s offices in Worcester and Tewkesbury were rebranded with the office in Tewkesbury becoming Haines Watts’ first permanent base in Gloucestershire. The press release has appeared in the Worcester News and Business & Innovation Magazine, pictured above, and on the Midlands Business Insider, The Business Desk West Midlands and Herefordshire and Worcestershire Chamber of Commerce websites.